ContractorUK always welcomes feedback and engagement from the Contracting community. Please use the details below to get in touch with us. If you would like to report a Forum post please do so exclusively via the facilities on the Forum. Additionally please note ContractorUK cannot advise on individual contracting issues at all – again you can ask any questions on our Forum. For more information on our advertising opportunities please email our sales team on sales@contractoruk.com or call 0207 872 5448. 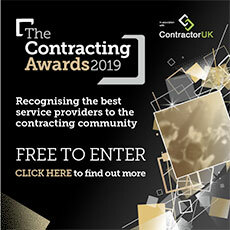 Contractors’ Questions allows Contractor UK’s readers and forum members to pose their own questions about contracting to an expert in the field. If you have a news tip or potential story for Contractor UK please email our editorial desk on editor@contractoruk.com. Our news and features team can also receive your views and comments, as well any take you have on IT contracting issues. Contractor UK has put together an RSS news feed for you. It shows the latest 20 news articles from all of the available categories. Alternatively feel free to contact us via Twitter, Facebook, Google+ or LinkedIn.